Some of you may know Pina, our store manager from our Reservoir store. What you may not know is that she and her family members are tomato passata-making extraordinaires! I had the privilege of attending their 'Passata Day' last weekend, to experience first-hand their family's tradition of making sauce. You may recall in our last newsletter on our recent Passata Making Course (and Recipe), and my reference to Pina's passion for homemade food? Well now I understand where it comes from! 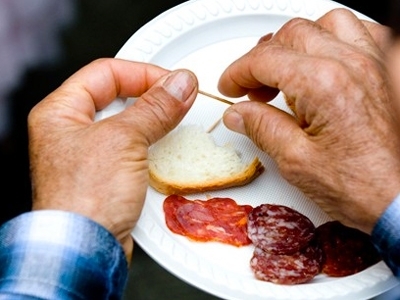 Pina's family make their own sausages, salami, pizza, pasta, olives, preserves and biscotti. They do it because they are passionate about great tasting, natural, preservative/additive free food, and they are passionate about preserving these homemade food traditions. Pina's parents, Domenico and Giovanna Federico have been making homemade passata for as long as Pina can remember! A backyard food tradition that has been passed down from generation to generation, from Pina's father's ancestors in Sulmona, Abruzzo, in Italy. Pina's family put one weekend aside each year in February to make their homemade passata. She does not recall a year when they have not done this. The Saturday afternoon is spent washing the tomatoes, sterilising the equipment and setting up the garage. 16 boxes of the tomatoes were delivered to the family home a couple of days before. They always purchase their farm grown tomatoes from Tony and Maria at 22 Lawson Crescent, Thomastown (0418 379 215). The family arrive at nonno and nonna's house early Sunday morning and get straight to work, starting cutting the tomatoes into quarters. Each tomato has been inspected and any bad tomato discarded. This job is initially shared by all family members. Pina's sons, Gianni (15 years) and Massimo (10 years) are now also old enough to cut the tomatoes which now helps speed up the process. Nonna is always keeping a close eye on quality control and efficiency of the process. Once a couple of the crates have been filled with the cut tomatoes, the family members branch off into their assigned roles. Traditionally, Pina's brother Paul takes charge of putting the tomatoes through the machine. The family's passion for this slow food tradition is evident just by looking at their machine. Pina's father Domenico has made modifications to our machine, literally attaching it to the kitchen sink. It is seriously awesome! The crate of quartered tomatoes is literally poured onto the kitchen sink and plunged through the sink hole into the machine where the pulp and skin are separated from the juice. The juice runs down the shaft and straight into the bucket, ready for salting and bottling. The pulp and skins are put through twice more, to ensure that the very last drop of the juice has been extracted. Juice is added to this process to minimise the strain on the motor, as the skins become drier. As with most patriarchal families, the nonno is charged with the most important of roles in this process, which is to add the right amount of salt to the tomatoes. Just enough to assist in the preserving process, but not too much to spoil the taste. I'm told it's better to under-salt than over-salt, as you can always add more to the sauce when cooking. On this day, Pina's eldest son Gianni is responsible for filling the bottles. Again one of our non-spill bottle fillers has been skillfully attached to a construction disigned by Pina's father, to again add efficiency to the process. The nonno sits close by, inspecting the work of his grandson and making sure his is filling them to the correct level. It's obvious though, that both the nonno and nonna are thoroughly enjoying their grandson's involvement and contribution to the process. It's not only the end result of fresh homemade passata that keeps this passata day alive, it's the preservation of a family tradition, passed down through the generations, with the hope that Paul, Pina and her children will carry this on well into the future. Once the bottles have been filled, the nonno then caps the bottles and gets them ready for the boiling process. Pina's family still use the beer bottles for their sauce, claiming that they have never lost a bottle through preserving them in this way. Meanwhile, Pina and I continue to quarter the tomatoes with her mum, chatting away about anything and everything. This process and assembly line of designated jobs is continued until every last tomato is cut into quarters and taken through the various processes. As with all passata days, the highlight of the day is usually the special lunch that is prepared for the hungry workers. In Pina's family, this is traditionally done by the nonna. On this day, the family were spoilt with a homemade zucchini fritatta and fresh panini. Pina was quick to point out that the zucchini is homegrown, and the pancetta and salami in the panino is homemade! After lunch the filled bottles are then very carefully stacked into the old gallon drums. If stacked properly they can fit approximately 100 bottles into each drum. Once the water comes to the boil, the bottles are slow boiled for approximately 2 hours and left to cool down overnight. To do this, they have four gallon drums boiling away on the gas burners. The process from start to finish is definitely a full day. The process then ending on Sunday at approximately 9pm following the big clean up. But the family are satisfied with their new years' supply of fresh homemade passata, totalling approximately 300 bottles! The passata will now form the basis of many of the family's meals for the next twelve months. Some of these dishes including the sugo for their gaming meats, ragu, marinara, minestrone, lasagna, bolognese or polpetti. If you would live to see more photos from Pina's family Passata Day, you can see them all on our Facebook Page. Nonna Giovanna's "Classic Sugo" recipe. Saute' the onions and garlic in the olive oil. Add the diced chunks of lamb or chuck steak to the saute to brown the meat. Add the bottles of fresh homemade passata. Cook on simmer for approximately 2 hours. Serve with your favorite style of pasta. Buon appetito! There are many variations to Giovanna's recipe, which we will share with you over the next few weeks. Our Advanced Homemade Winemaking Courses will be commencing in March, 2014. If you would like to read more about our course, you can read our previous blog on our 2013 Advanced Homemade Winemaking Course. To help celebrate the Australian tomato season with you, we have included heaps of our passata/sauce making equipment and supplies in our Specials this week. Wow! What a fun night we had at our recent homemade Passata Making course at the Reservoir store. You couldn't have asked for a more authentic workshop to learn the craft of preserving tomato sauce, and we know that our participants walked away inspired and will be planning their own backyard 'passata days'. Our passata making course was instructed by our very own Pina and Celeste. Pina and her family have been having annual passata days for over 20 years now. Celeste inspired and entertained the class with her funny stories and mouth-watering recipes. The course commenced with a run down of the different methods for making passata and the importance of sterilising the bottles and equipment. We were then shown the different options for equipment that can be used and available, including the manual and electric machines. We pride ourselves on our workshops being 'hands on' and this passata course is no different. We put our participants to work straight away. Pina and Celeste had already sterilised all the bottles and equipment, and washed and dried the Roma tomatoes before we arrived, so our first job was to cut the tomatoes into quarters. We do this to cut out the flat stem, also to check that there are no rotten bits within the tomato, which could spoil the 'juice'. Between the 8 of us, we got through preparing the large box of tomatoes pretty quickly. Our FLB machine with electric motor and sauce attachment was set up and we put them through our machine using a plunger. This process separates the skin and the pulp from the tomato juice. We followed on by putting the skins and pulp through a second time to extract the juice further, adding some juice with the skins and pulp to look after the machine. If the skins are too dry, this can cause stress on the machine's motor. It was then time to bottle our tomato juice. We added a couple of fresh basil leaves to our already sterilised bottles. This is optional though. This job was made easier with our no spill bottle fillers which have been attached to our crates and buckets. We left a small space between the top of the bottle and the juice, to allow for the tomato juice to expand during the boiling process. We filled the bottles quickly and sealed them with a lid, careful to make sure the lid was on tight (but not over twisting, as this can also cause problems during the boiling process). You can largely avoid these problems however by using our lids. All that was left to do then, was to carefully stack the bottles in our aluminum cooking pot, fill with water to the top and bring to the boil. It's useful to lay some cloth or toweling in the bottom of the pot and cover the top of the bottles to minimise the bottles rattling around during the boiling process. Once to the boil, the bottles or jars should be boiled for approximately two hours. This process sterilises the bottles and preserves the tomatoes. If stored in a cold dark area, these bottles will keep for years. Your passata is then ready for use, to be the basis for any of your favorite pasta sauces, pizza sauces, casseroles or risottos. How you cook it up is up to you! I personally like to add a little garlic, chill and onion. It's an awesome base for spaghetti pescatora, or just as nice for a simple spaghetti Napoli. There are no limits to what you can do! We ended the evening with a delicious pasta dish cooked for us by Celeste. We sat down to a massive bowl of pasta made with Pina's passata sauce from last year and Celeste's sugo recipe, a bottle of wine and some yummy pastries. What a feast! And what a delightful end to a great evening! If you would like to see more photos from the evening, you can view them on our Facebook Page. 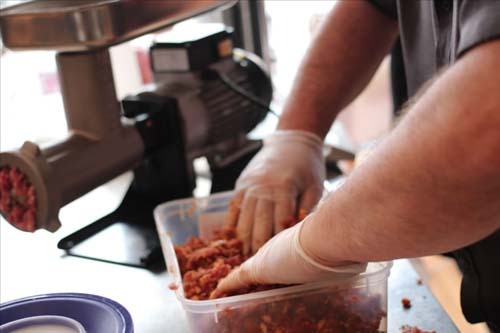 If you are interested in attending one of our homemade passata making courses, call our Reservoir Store on 9460 2777 or Clayton Store on 9574 8222 to find out more or register your interest. Below is one of Celeste's recipes for making homemade fresh passata. Have fun!! -Chilli (flakes or fresh and optional). Amount used will depend on palate. -Place the tomatoes in a food grade tub (50lts to 100lts). -Pour boiling water over the tomatoes. This will soften the skin making the juicing of the tomatoes easier and quicker. -Using a slotted strainer or spoon, steadily scoop the soften tomatoes into the machine's hopper to be processed. The skin and pulp will be separated from the juice. -Sauté the chopped onions, garlic, choice of herbs, pancetta and chilli in the oil until golden brown. -Pour the processed tomato sauce in this sofritto (sauteed herbs and vegetable). -Cook gently on low heat for at least 30 minutes. -Keep this on a gentle simmer. Keep covered, stirring gently every 10 to 15 minutes. Total cooking time of 1 & 1/2 hours. -For this part, some precautions should be taken for handling hot products. -To sterilise the bottles, beer bottles or jars, place them in a hot 200 degrees oven for 15 minutes. Immediately place the jars on a tray whilst still hot. -Ladle the hot sauce into the jars allowing a space for expansion. Shake the jars so no air pockets will be present in the sauce. -Twist the cap on jars securely, but don't over twist. -Turn the jars upside down, let stand in this position for 10 to 15 minutes, turn upright, and leave to cool. This process creates a vacuum in the jars and is very important. -Store in a cool, dark place. Ready to heat and serve! Enjoy!! *This passata/sauce can also be added to a variety of dishes. One of my favorite things about summer is the sweet taste of stone fruits. There is nothing more delicious than fresh apricots, peaches, nectarines, plums and cherries to help cool you down during those heatwaves. Whether we buy them at the local supermarket, fruit markets, grow them ourselves and or have friends or family willing to share their summer crop, they are one of life's best simplest pleasures! We were given some beautiful home-grown apricots by a great customer (Giuseppe) at our Reservoir Store a few weeks ago. In fact, too many to eat! Umm, what to do with them? So we decided to make some homemade Apricot Jam. Below is our neighbor Shirley's homemade jam recipe which has stood the test of time. The recipe is from 1972 and needed to be converted from imperial measure (pounds) to metric measure. 1/2 packet (25gm) of Jam Setta *you can purchase in the spice section of your supermarket. I like to use Jam Setta because I find it helps to settle the jam and minimises the amount of sugar needed. I also like to use a little Brandy too, but this is optional - 2 tablespoons. Also optional are the blanched kernels. The kernels are the nuts inside the stone of the fruit. The nut is crushed and blanched and included in the apricot mix. Prepare and stone the apricots making sure they are clean. Sprinkle half the sugar over the apricots and add the lemon juice. Leave to stand for a few hours or overnight in a cool place. Bring them to the boil, then turn the heat down to a simmer. Add the Jam Setta with 100mls of warm water to dissolve. Gradually add the rest of the sugar. Slow simmer for approximately 40 minutes. Add 2 tablespoons of the brandy. This is optional. I find that it brings all the flavors together. Add the blanched kernel. The kernel will give the jam a beautiful tart flavor and texture. You can test the jam to see if it is ready by placing a small plate in the freezer for 15-20 minutes and pouring 1 tablespoon of the jam in the center of the plate. If it is ready, the jam should set quite quickly - if it still too runny, keep the jam on simmer for a little longer. It may need 10-15 minutes more depending on your result. Rest the jam for 10 minutes. Sterilise the jars in a hot oven at 180 degrees for 10 minutes whilst you are resting the jam. Wash and pat dry the lids. Ladle the jam into the jars and seal whilst hot. The jars will be very hot so take care with your handling of them. Invert sealed jars top to bottom (upside down) for at least 30 minutes to create a vacuum. That's it! Your apricot jam is ready to be enjoyed. Clean and cut the plums in half and remove the stone. In a large bowl, pour half the sugar over the fruit. Squeeze the juice of the lemons and add the water. Leave covered in a cool place for up to 12 hours or overnight. In a large cooking pot, (large enough for the fruit and liquid), place the fruit and gently bring to the boil. Once boiling, reduce heat to a gentle simmer and stir and regular intervals. Dissolve the Jam Setta with 100mls of warm water and add to the pot. Remove the bouquet garni (cinnamon and cloves). Sterilise the jars in a hot oven at 180 degrees for 10 to 15 minutes. Wash the lids and pat dry. Use the same process to test the jams, as included in the apricot jam recipe. Invert the sealed jam jars upside down for 30 minutes to create the vacuum. Watch this space...... We will be including some more preserving recipes in the coming weeks for strawberries and other popular seasonal fruits. Our Clayton and Reservoir Stores stock a great range of jars, lids and preserving accessories that are prefect for preserving jam and fruit. You can check out our range at our Online Store. We also have a few places available for our Summer Homemade Food and Beverage Courses at our Clayton and Reservoir stores. Our courses are hands on, social and lots of fun. Don't forget, you can also keep up to date with news from the Home Make It team by following us on Twitter and Facebook. The tomato season is coming! It's homemade passata time! 2014 is going to be a busy year for Home Make It. We kick off the year in February/March with our beloved Passata Season. All over Melbourne, Sydney and Adelaide, weekends will be put aside by families and friends to turn their home garages or backyards into fresh tomato sauce making factories. We love it! We have seen a huge resurgence in interest of families and friends to preserve the Italian way of making homemade tomato sauce or "passata", as it is commonly known. But it's not just Italians that share this passion, the Greek community are also passionate about preserving and bottling fresh tomatoes for their traditional dishes and we are also seeing a steady growth interest in the tomato season from all different cultures. Just as there is a diversity of cultures enjoying this backyard food tradition, so is there a diversity of methods employed to do it. You only need to ask two different Italians about their process for preserving tomatoes and you'll get two different methods. And each method, invariably the "superior and correct method". The tomato season is very special to me personally. It has become a family tradition of ours to put aside a weekend at the end of February to meet at my parents home, with my siblings and their children. It's a time we all look forward to and it's a time to be together as a family, work together and yield the rewards together. At lunch time we sit down together to eat a delicious meal prepared for by mum and enjoy some special wines. We work hard, doing our designated jobs in the production of our bottled sauce, but in the background there is always music and laughter. And of course, no family day is complete without some healthy sibling squabbling. What makes the day so special is seeing all the children get involved in the process, and I know this is also one of the highlights for my parents. Our Passata weekend starts on the Saturday. My brother picks up the boxes of tomatoes on the side of the road in Thomastown from a reputable farmer. The day is spent washing and drying the tomatoes, sterilising the bottles, setting up the garage and equipment, cleaning the crates and setting up the burners. We all go home tired and sore after this day, but excited about the day ahead when the real work begins. We meet early Sunday morning and get straight to work. The first step is cutting the tomatoes into quarters, discarding any rotten sections. Crates are then filled with the quartered tomatoes. When enough have been cut up, it's time to start our assembly line. The tomatoes are put through the tomato machine which separates the skin and seeds from the pulp. Once the crate is filled with the tomato puree, the salt is added and the puree is ready to be bottled. You can do this the hard way, or you can do it the Home Make It way :) And that's with crates with no spill bottle fillers attached. It's child's play! It's then time to cap the bottles. Once the bottles have been capped they are then carefully placed in our reconditioned oil drums and slow boiled over our four ring gas burners for several hours. Ideally they will then cool over night in the drums before the crates are repacked with dozens and dozens of bottles of "liquid gold". When the last of the tomato puree is bottled and ready to boil we finish the day with the clean up and a critique of the day. What worked well, what we can do differently and new goals for next year? Last year, each family took home 55 bottles of tomato sauce. This year we have raised the bar to 100 bottles each. Now that's a lot of tomatoes, roughly 30 boxes. But it's not just about making fresh homemade sauce, it's about creating lifelong memories for our children and preserving a slow food tradition from our ancestors, which will hopefully be continued by our children. We use our bottled tomatoes for all our traditional family dishes including pasta sauces, casseroles and pizzas. There's enough to use all year round and nothing beats the taste of natural homemade tomato sauce. It was a privilege last year for Home Make It to be able to donate passata equipment to the Sydney Youth Food Movement's "Passata Day". The Youth Food Movement is group of young people who share a passion for good food and are committed to a sustainable food future. Here's a fantastic video clip of one of their "Passata Days". We look forward to getting involved with the Youth Food Movement again this year. If you are new to making tomato sauce, you may enjoy coming along to one of our Tomato Passata/ Sauce Making Courses coming up in February at both our Clayton and Reservoir Stores. You can book directly online or contact our stores to secure your place. 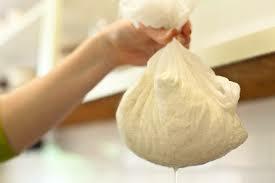 We have also started taking bookings for other homemade food and beverage Summer Courses for 2014. These include our Advanced Homemade Winemaking Course, Cheese Making Courses, and Cider Making Course. Don't forget we have an Online Store for convenience and ease of shopping with the security of PayPal. Or call into our Reservoir or Clayton Store. We are open 9.00am til 5.00pm Monday to Friday, and 9.00am til 1.00pm on Saturdays. You can also follow up on Twitter or Facebook for daily updates. Click on the banner below to check out our SPECIALS - Theres a lot of passata/sauce making equipment on SALE! Looking forward to sharing more news with you from the Home Make It team in 2014. Have a great weekend! 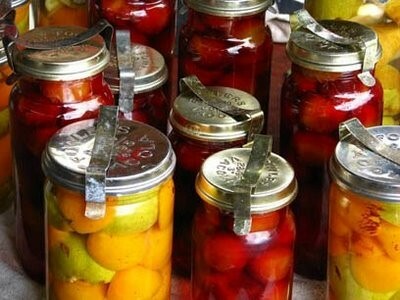 We have moved away from our seasonal and traditional homemade food and beverages for this week's Newsletter, to focus on preserving jars and take a look at the latest food craze to hit Australia from the US. It seems we've gone mad for jars to serve up our favorite dishes and drinks in trendy bars and restaurants. 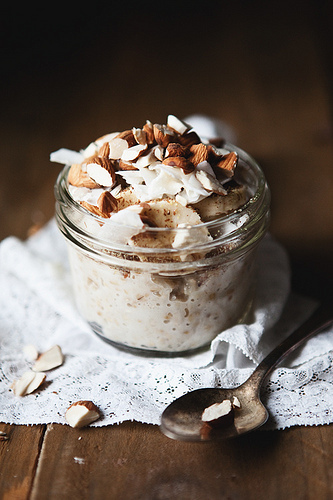 The jar craze has also been embraced by those on the go that want to enjoy healthy, fast meals. There's no limit to what you can serve up in a jar whether it's breakfast, soups, salads, pastas or desserts. 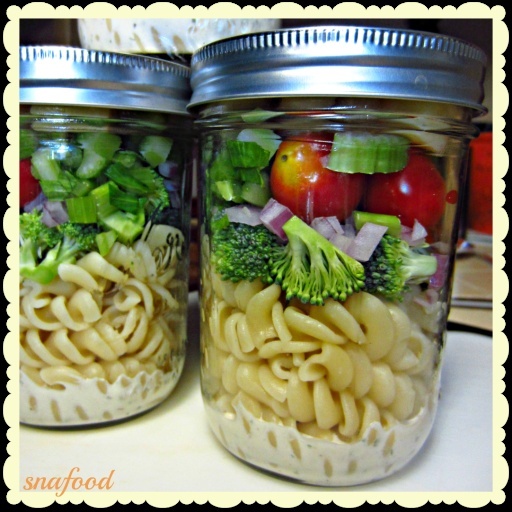 Check out the Pinterest page on Mason Jar Meals for some great food storing and serving ideas. Here's just a sample of recipe ideas. Click to follow their links. Put the dressing in first, to sit at the bottom of the jar. Separate the leafy greens from the salad dressing. Leafy greens should go in last. Put the more robust veggies in after the dressings, such as carrots and cucumbers. They can sit in the dressing without spoiling. Fill the jars completely, to minimize the condensation liquid caused by space in the jars. 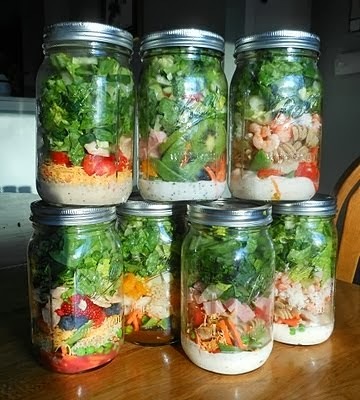 You can store your salads freshly in salads in jars for several days. Home Make It is teaming up with Master Chef contestant, Andrew Prior from Queenie's Food Tours for The Age, Good Food Month, for a special sausage-making lesson and specialist cooking class. 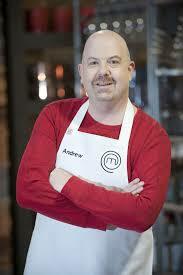 To join Andrew on the Queenie's Food Tour with us on the 23rd November, 2013 book Online to secure your place. Our Spring Food and Beverage Courses are now available and run from two convenient locations, Reservoir and Clayton. Visit our website to book directly Online. Our DIY homemade food and beverage courses are fun, hands on and affordable. Don't forget that if you are into preserving and would like to participate in thePreserving Memories Project that will be exhibited at the Darebin Homemade Food and Wine Festival in May 2014, then please contact Anne Thoday on 0407 887 099. I hope you enjoyed watching the You Tube footage of the 2011 Darebin Backyard Harvest Festival. This is a wonderful initiative by the Darebin City Council to celebrate sustainable foods, and homegrown gardens. The Darebin Backyard Harvest Festival shares the knowledge, passion and skills of local families who generously invite you into their homegrown vegetable gardens. The 2013 Backyard Harvest Festival is coming up soon. There are open gardens, workshops and much more. Get behind this wonderful initiative and be inspired! With Spring in the air, it's time to start thinking about planting your summer crops for your vegetable gardens There is nothing more satisfying than harvesting your own fresh vegetables that you have grown and nurtured from seedlings.There really is no comparison in taste and freshness. If you're not sure what you should be planting and when, you may enjoy this local Melbourne Blog on Spring Vegetable Gardens, called "Yummy Gardens". Included in the blog is a really handy list and timetable of vegetables that are suitable to plant in Spring. Being passionate about home grown and homemade food, we are also only too happy to promote a local initiative that is currently underway that may be of real interest to you. This project shares our passion for preserving the food traditions from different cultures. We hope to see some of your stories exhibited at the 2014 Darebin Homemade Food and Wine Festival. 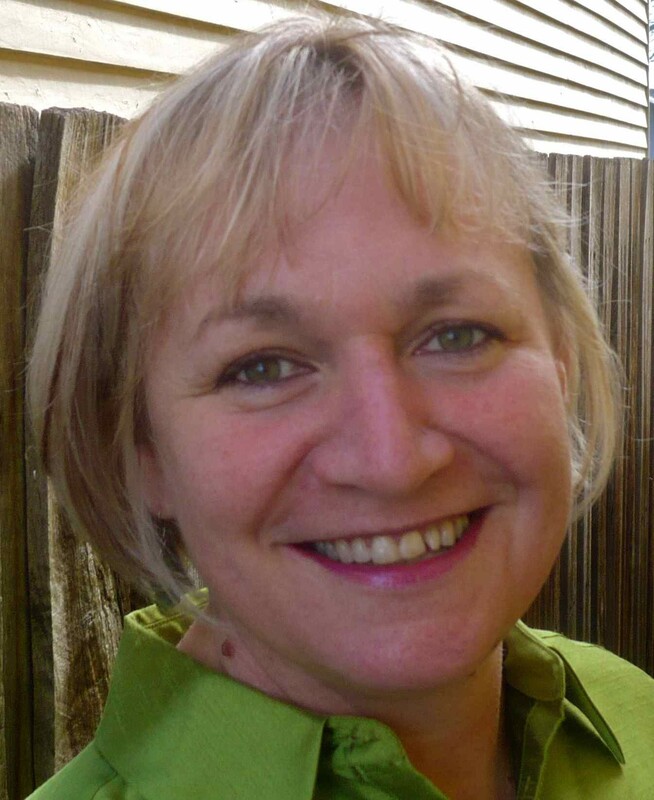 "Hi, I’m Anne Thoday from Northcote. I’d like to invite you to be part of a creative project celebrating the local cultural heritage of making preserves at home in Darebin. As the focus of my studies at Melbourne University, I am interested in the powerful link between food and cultural memory. It’s astonishing how the smell or taste of something can remind us of the past. Mobile: 0407 887 099 Email: anne@annethoday.com "
It's arrived! 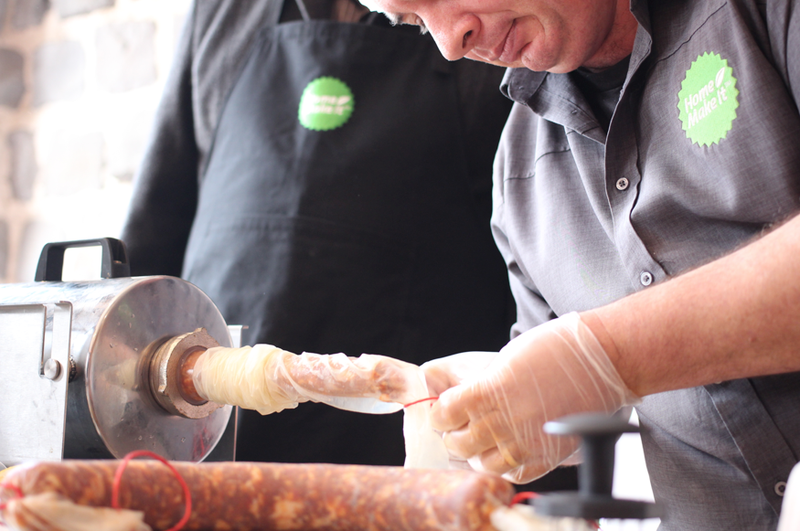 The 2014 Melbourne Salami Festa is here! Have you purchased your ticket for the Festa on Sunday 15th September? Tickets are still available on-line. You can also purchase General Entry tickets on the day with a gold coin donation. 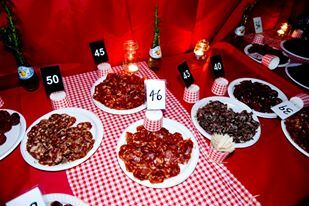 The official count of Entries for the best homemade salami competition is 63. That's a lot of salami!